The rivalry between the juniors and the seniors has been broiling these past couple weeks, with student section debates and rumors of a hit list. Students throughout the school were excited to watch the girls compete. Powderpuff is a tradition that goes back years and shows us how competitive girls can really be. It’s played around the nation and the game never disappoints, with last night being no exception. 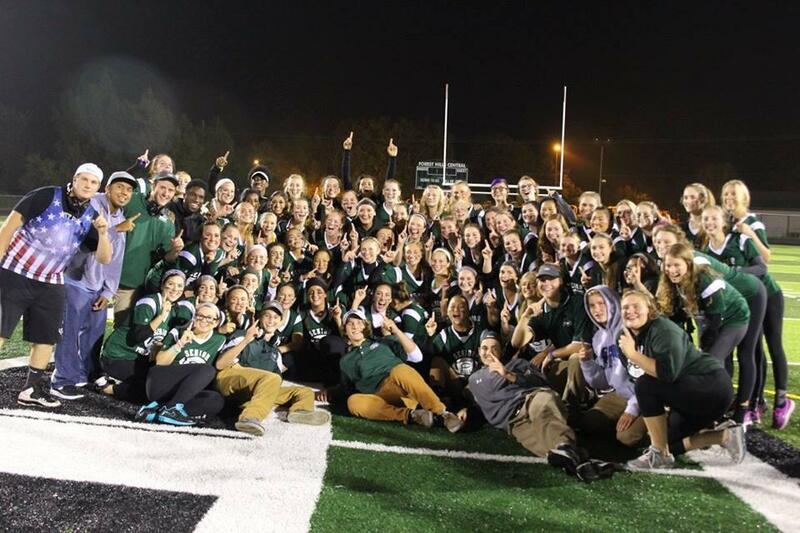 This year seniors proved to be victorious yet again with a score of 30-12. As the seniors scored a touchdown on the second play the juniors did not give up. “Although we lost, I think everyone had a good experience and we had a lot of fun,” said junior coach Sal Sidebotham. After being down by 3 touchdowns, junior Bailey Korhorn put on the jets and scored a touchdown the first play of the second half. ”The feeling of scoring two touchdowns was unreal. Running into the end zone and looking behind you and seeing all the coaches and student section going crazy was one of the greatest feelings. It was awesome to make the coaches and the junior class proud,” Korhorn said. Korhorn was the only junior to score. On the other hand, the seniors had multiple people score, including senior Cassidy Terhorst who scored two touchdowns. According to Terhorst, she couldn’t have done it without her blockers including senior quarterback Mackenzie Yob, who all worked together in order to get a touchdown and overall get the W.
Although the juniors couldn’t pull out the win, Korhorn is optimistic about next year.